Total Fitness Center offers varying levels of memberships in order to meet anyone’s needs. You can choose from a single, couple, family or corporate membership depending on which one works best for you and with all our memberships all of our amenities are included or can be added on to your membership. First, is our Personal Training which we encourage all new members to take advantage of this one on one session time? You will work with one of our certified professional Get Right Trainers. This will ensure you get started on the right path for success. We also recommend our nutritional counseling. Next, is the Kids Club for all parents who have children to bring? These kids will enjoy an entire indoor and outdoor Kids Club play house with staff members to monitor their play while you exercise. See our kid’s club page. Finally, adding tanning to your membership will enable you to tan 24 hours in one of our state of the art tanning beds and our bulbs are provide by Clear Tech Lamps. A single membership is for one person and includes use Total Fitness Family Center facility*VIP – Upgrade to our VIP and receive tanning, aerobics, group sports, childcare / Super Kids Club Aerobics and our TF Training program. 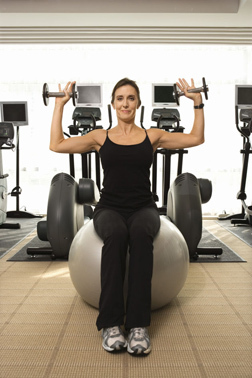 A couple’s membership is for two people in the same household and includes use of Total Fitness Family Center facility. *VIP – Upgrade to our VIP and receive tanning, aerobics, group sports, childcare / Super Kids Club Aerobics and our TF Training program. 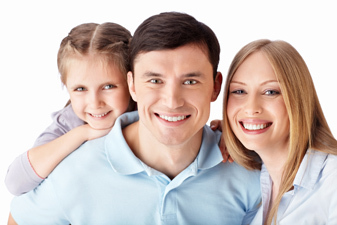 A family membership is for three or more and kids must be between the ages of 10 and 21 from the same household. *VIP – Upgrade to our VIP and receive tanning, aerobics, group sports, childcare / Super Kids Club Aerobics and our TF Training program. Better Health and a healthier lifestyle is what we all want. Here at Total Fitness Family Center we have several programs to assist our seniors with their continuing health efforts.We do this by coordinating with health insurance sponsored programs; such as, Humana Insurance program, American Whole Health Networks, and Silver Sneakers Program.We have provided several links below so you can find out more information about the above listed programs. 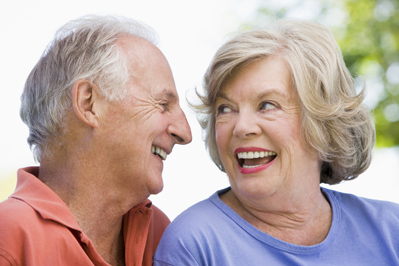 Also, if you have any questions about what we offer in-conjunction with the Seniors programs, please do not hesitate to call us at 864-295-3687 or you can email us at info@totalfitnesscenter.com.Total Fitness Family Center now accepts all Insurance. If there is a program that you know about and would like for us to work with your health care provider or fitness solution, please do not hesitate to contact us. “The cost to employers in healthcare and simultaneous losses in productivity in roughly $226 billion a year” – Source Dayton Daily. Bringing the power of fitness to your workplace could be competitive advantage you need to make your organization successful. Encouraging fitness demonstrates a commitment to your employee’s well-being, your most valuable assets will appreciate in value and create a return through greater productivity, fewer absences, lower healthcare costs, and less turnover. As your company’s corporate fitness program, we will provide you with outstanding facilities and creative programming designed to meet your needs. Remember the days when printing was considered an art form? When your printer was a partner, not a “vendor”? As a member of Total Fitness we want to extend to you a special offer of 10% off on your first order. Since you’re a member of Total Fitness we want to say welcome with a 10% discount on your first order. wireless networks and equipment setup and maintenance as well as piece of mind from data system backup. We will come to you, ick up your machines and turn them around usually within 2 business days. If you have premises video surveillance & security installation and maintenance needs we can handle that also from wireless cams to DVR with CCTV and Door security system installs as well. My name is Bud, call me today and see how simple getting fully set up can be. As a respected member of Total Fitness I want to make you an offer of 10% off your first order and I look forward to hearing from you soon. Through this website, we’ve made it easy to download coupons, submit a document for printing and view our many products and services. We want to thank you as a Total Fitness member for visiting our ad and make you this offer of 10% off on your first visit to our store. One Shop Eyeglasses is a great place to come for contact lenses, eyeglasses, and eye exams, because we save you money through great discount programs. Conveniently located directly in front of Wal-Mart™, we’re easy to find and hard to forget. Appointments and walk-ins are welcome, and we work with some insurance companies. Stop by and see our optometrist today or to look at our great selection of eyeglasses and contacts. If there’s something specific you’re looking for, let us know, and we can locate it or special order it for you! Contact us today and be sure to inquire about our many discount programs. 1027 Suite E South Pendleton St.
We want to thank you as a member of Total Fitness for your interest in our ad and our services and want to make you a special offer of 10% on your first visit to us. are now able to offer the following services to our community and surrounding areas; FedEx, DHL,UPS, Postal Services, both black/white and color copies, packing supplies and packing of your items, mailbox rental, faxing services, notary and stamps at the same prices you will get at the U.S. Post Office. Also we now offer personal document shredding, U-Haul trucks and trailer rental to assist you with your moving needs. We hope to see your smiling face soon. We want to thank you as a member of Total Fitness for visiting here today and we want to make you an offer of 10% off your first FedEx or UPS shipment with proof of membership. Since 1996 Kiddie Depot has provided a fully licensed, independent preschool with a nurturing, enlightening and fun environment for children from to Birth to 7 years. We invite you to visit any time and see why we are so proud of what we do. We want to thank you as a member of Total Fitness for visiting our ad and we want to make you a special offer of 10% off on your enrollment fees. At Tedeschi Auto Repair our experts have the knowledge to service and repair even the most challenging auto problems on all makes and models of domestic and import vehicles. We use the latest technology to assess the situation and offer you alternatives. We guarantee all of our work and know you’ll be happy with the outcome. Stop in or give us a call at 864-295-9505 to let us know how we can help you! If you are looking for a spa setting that is relaxing, inviting and offers the finest in manicures, pedicures, facials and massage therapy all at very reasonable rates than we need to meet very soon and remember… you are worth it. Hans J Salon wants to say thank you to you as a member of Total Fitness by making you an offer of 10% off on your first visit to our spa…see you soon. We at A Bit of Whimsy want to say thank you to you as a member of Total Fitness by offering you a discount of 10% on your first purchase from us. network of florists. For those last-minute gifts, Wildflowers Florals & Gifts is pleased to offer same day flower delivery at no extra cost. Make your next occasion one to remember with a gift from Wildflowers Florals & Gifts. We want to thank you as a member of Total Fitness for visiting our ad and want to make you a special offer of 10% off on your first purchase. LVT has always embraced the emerging markets of Security, Surveillance, Digital Video Recorders, Web Services, and Technology. We offer wholesale and retail distribution channels for national franchises, municipalities, commercial and residential markets. Get a 10% reduction on any security, surveillance or alarm equipment with your Total Fitness Membership Card. At Peek-A-Boo Photography, we understand that we are not only photographing your family, business, products, or services, but also preserving your memories for many years to come. Our focus is to ensure you, the customer, receives the most friendly, professional service, and a photographer who is attentive to your expectations and desires. We offer photography services in the Upstate South Carolina area, and are willing to travel to your special location if needed. Please take time to browse our site and view some of the many ways that Peek-A-Boo Photography can meet your portrait needs. Get a 10% reduction on any photo session or wedding package with your Total Fitness Membership. Chiropractic care is more than just making your pain and discomfort disappear. It is about learning, understanding, and taking care of your body to improve your quality of life. Let us guide the way to Relieve your symptoms and Renew your life! Call us today to begin your journey… We are proud to provide a state-of-the-art facility for the highest quality chiropractic care available. It is our top priority to protect the well-being of our valued patients. Visit us at 900 Greenville Drive, between Pelzer and Williamston or call us at (864) 847-1818 to make an appointment. We are confident that you will feel right at home in our office as we welcome all patients like they are family.